Foster homes are an essential part of the rescue process. Cats need to be in a home atmosphere for their mental stability and for rescue to evaluate the type of home and people best suited for each cat. 1. Rights: ECMCR cats are the sole property of ECMCR and decisions regarding their placement, medical care, behavioral modification and euthanasia are exclusively made by the Officers/Directors (hereafter referred to as Officers). Under no circumstances does a foster home have the right to place, sell, give away, abandon, donate, or euthanize the ECMCR cat(s) in their care. Furthermore, all medical treatment given or extreme behavior modification techniques practiced must be discussed with and approved by the Officers before implementation. 2. Upkeep costs: As a foster home, you are responsible for providing indoor-only accommodations including food, water, a bed, litter boxes, litter, toys, a scratching post and ample amounts of attention and affection. ECMCR will provide a monthly stipend for food and litter upon request, and when funds are available, via a reimbursement form available from the Officers. It is understood that fostering can take several weeks or possibly several months. 3. Vet bills: Pre-approved vet expenses will be paid for or reimbursed by ECMCR. ECMCR requires an original receipt for the services rendered. Foster home must have an approved foster application on file with ECMCR and the cat must be registered in ECMCR’s records for reimbursement. Some cats enter a foster home without needing veterinary care while others need varying degrees of veterinary care. Adopted cats must be healthy and up-to-date on vaccines and we must be able to prove that to the adopter. 3a. Vaccines: ECMCR cannot pay for unnecessary vaccines beyond those pre-approved. Distemper/upper respiratory vaccines are necesarry as well as rabies. The foster home will discuss with the Officers any necessary vaccines for each individual cat. ECMCR will not reimburse for the FeLV vaccine nor the vaccine for Feline Infectious Peritonitis (FIP). 3b. Tests: All cats should be tested for FIV/FeLV prior to placement into a foster home. ECMCR will reimburse for routine and diagnostic tests such as stool samples, urinalysis, and blood screening. All other testing must be approved by the Officers. 3c: Altering: ECMCR will reimburse the foster home for the cost of spaying/neutering of any ECMCR cats in their care. 3d: Dentals: ECMCR will cover the cost of dentals if deemed necessary by a veterinarian while in ECMCR’s care and approved by the Directors. 3e: Emergencies: In the case of a life-and-death emergency, the foster home must act in the best interest of the foster cat(s). All efforts must be made to contact an Officer but it is understood that this may not be possible in all cases. If an emergency arises, the minimal amount of veterinary care should be given to ensure the cat is free of pain and out of danger. Contact an Officer as soon as possible for instructions on how to further proceed. In the case of a severe emergency where euthanasia is recommended by the veterinarian in the best interest of the cat, ECMCR will reimburse for the cost. A written report of the event should be made by the veterinarian and sent to ECMCR along with the receipt. 3f: Euthanasia: In some cases, ECMCR rescues cats that have medical or behavior problems. Unfortunately, extreme medical or behavioral problems sometimes are not discovered until the cat is in a foster home. The Officers will make a decision regarding euthanasia. Once the decision is made, it is the foster home’s responsibility to have the procedure performed by a licensed vet. This is a difficult but crucial role of the foster home. ECMCR will pay for this procedure if pre-approved. 4: Resident Pets: ECMCR cats should be isolated from resident pets in the household for at least 14 days. Introductions afterwards should be made slowly and safely. Please use caution as ECMCR cannot take any responsibility for any injury or illness sustained by your resident pets. Be sure your resident pets are up-to-date on vaccines before introducing a foster cat to them. The foster cat should have a medical exam prior to exposing him/her to your resident pets. Be sure to keep sick foster cats away from your resident pets for everyone’s protection and vice-versa. Please remember that a foster home is a temporary placement for the ECMCR foster cat. While foster homes may fall in love with their foster cats and wish to adopt them, please consult with an Officer. 5. Behavioral Problems: Some ECMCR cats may have behavioral problems that require the foster home to practice bahavioral modification. Some examples include: litter box issues, spraying, scratching furniture, aggression, severe shyness/fear. In many cases, the cat simply needs to be in a loving, quiet environment away from other pets or noise. In some cases, more extreme measures must be taken by the foster home to correct the problem. The foster home will be informed of any behavioral problems that the Officers are aware of beforehand, and possible modification techniques discussed. In the event that a cat shows unexpected behavioral problems, the foster home must inform the Officers immediately. Possible behavior modification will be discussed or the foster home will be advised of sources to consult. Under no circumstances should severe disciplinary or modification techniques be employed without the approval of the Officers. ECMCR cats are the property of ECMCR and if actions are taken that the Officers do not approve, the cat will be removed from the foster home. ECMCR relies on its foster homes to evaluate each cat’s personality. A plan for modification can be made together. Exposing the ECMCR cat to variety of situations, experiences, pets and people will help you to evaluate the cat’s personality and help to find a suitable home for him/her. For example, is the cat kid friendly, dog friendly, cat friendly, etc. 6. Previous/Future Owners: Although the foster home may come into contact with previous owners or future adopters, the contact should be pre-approved by ECMCR. Foster homes should not provide identifying information of adopters to previous owners. Please do contact adopters occasionally as to the welfare of the ECMCR cat in his/her new home to be sure the adjustment period is going. Do not let potential adopters into your home to visit the ECMCR cat unless there is an approved application on file. This rule protects both you and the ECMCR cat. 7. Involvement in Adoption: Some foster homes prefer to be actively involved in the placement of their foster cats; others prefer to foster the cat(s) and leave the decision-making to ECMCR. Foster interaction is necessary with potential adopters. ECMCR is interested in the feelings of the foster home regarding potential adopters. 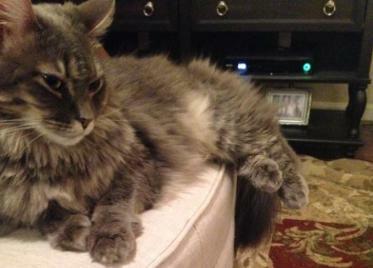 Foster homes have final approval of the placement of their foster cats. When a foster cat is adopted, keep a copy of the foster cat’s veterinary records and provide a copy to the new owner. Be sure the new adopter understands that ECMCR will always take back the cat if it does not work out. Do not let the cat go to its new home until all paperwork and payment is received. An Officer will advise you of this. Let the adopter know that you will be happy to answer any questions or concerns that they have about the ECMCR cat. 8. 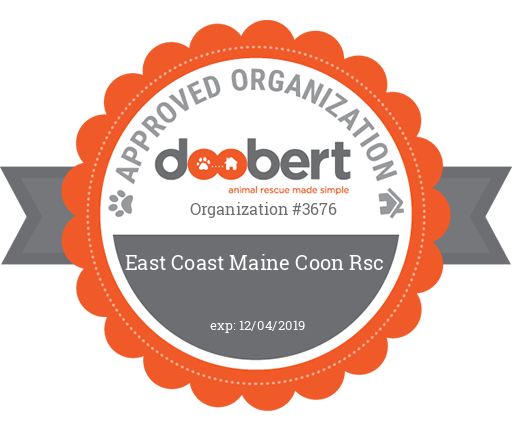 Liability: The foster home accepts responsibility for any and all events that occur in connection with the fostering of an ECMCR cat. The foster home agrees to release and indemnify ECMCR from any and all claims, known and unknown, now or hereafter, arising in connection with the cat(s). 9. Attorney Fees and Costs: Should it be necessary for ECMCR or its agents and volunteers to take legal action to recover a foster cat or otherwise enforce any provisions in this agreement, foster home agrees to pay all court costs and legal fees. 10. Certification of Full Disclosure: Foster home attests that all information provided to a potential adopter is accurate and complete to the best of the foster home’s knowledge. 11. Forum, Integration, and Severability: This written agreement constitutes the whole agreement between the undersigned and ECMCR, and no prior oral or written agreements not explicitly included in this document are to be considered as part of this contract. Wherever possible, the terms and conditions of this agreement shall be interpreted in such a manner as to be effective and valid under applicable law, but if any provision shall be prohibited by or invalid under applicable law, such provision shall be ineffective to the extent of such prohibition or invalidity, without invalidating the remainder of such provision or the remaining terms and conditions of this agreement. 12. Multiple Fosterers: Where more than one person or a non-incorporated group entity appears as Foster Home in this agreement, each person agrees to be jointly and severably liable under the terms of this agreement, and responsible for compliance with each of its terms and conditions. 13. Liquidated Damages: In the event that the foster home abandons or otherwise transfers the cat without the prior written permission of an Officer, or if the cat is abused or mistreated in violation of this agreement, foster home agrees to pay ECMCR $500 in liquidated damages, covering costs including but not limited to: veterinary treatment, time and transportation extended to locating the cat, travel expenses in recovering the cat, expenses already invested to improve the cat’s health, locate permanent homes, and for legal and other investigative expenses.